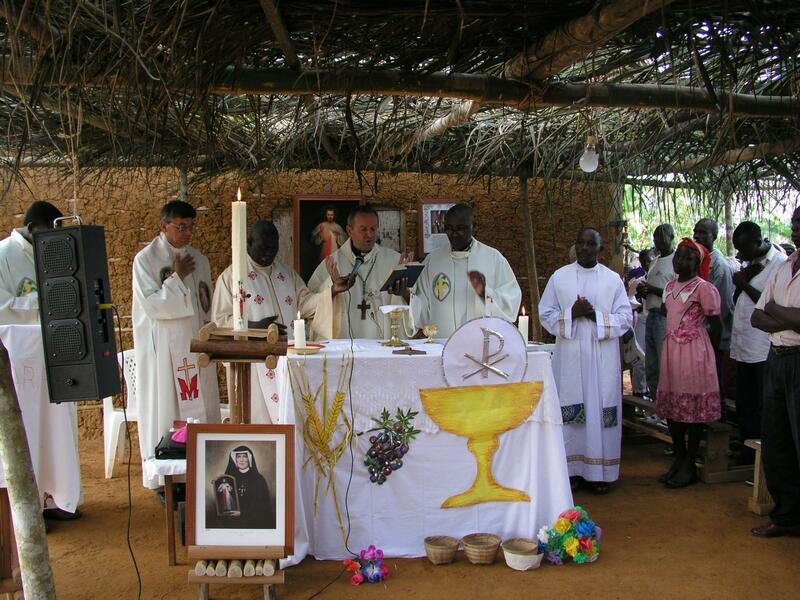 The Marians established first mission in Africa in 1984. First in Rwanda, and then in Cameroon. Presently there are 10 missionaries serving in both countries. They provide pastoral and social ministry in their parish and also educational service to the youth and children. They serve also spiritual and charismatic ministry. The Marian mission in Rwanda has been placed within a specific social, cultural, and political environment. Before the war we were creating the Church trough organizing chapels and schools. During the war we assisted the refugees through our ministry in the refuge’s camps. After the war we undertook the ministry of reconciliation for traumatized ands wounded people helping them to find peace, forgiveness, and sense of life. Our mission in Cameroon can be described as assistance in restoring back to life both the people and structures. Through repairing old ruined buildings and making new constructions, we restored to the mission its old splendor and functionality. We proclaim hope to fallen people, educate them, set free from fear and poverty, and lead to a dignified way of life. This is how we could name our African Missions since the theological basis of our mission is proclaiming and practicing mercy. 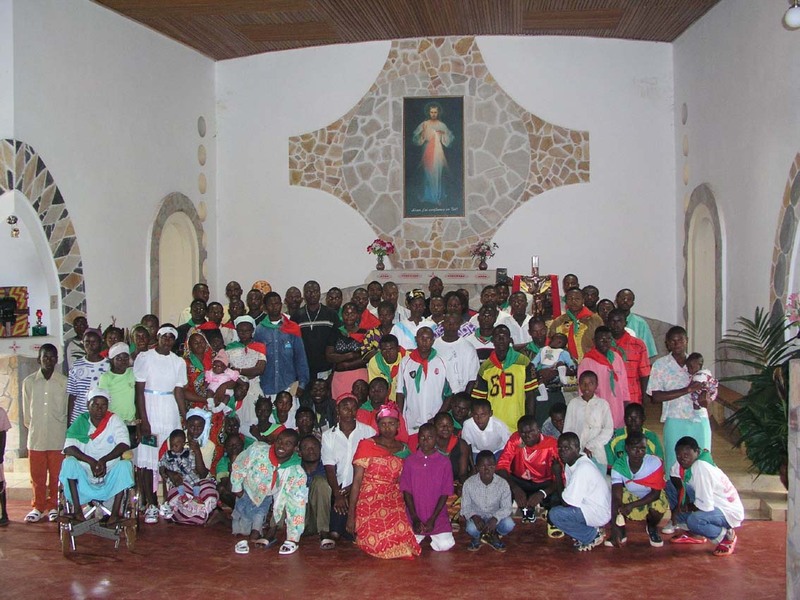 We undertook this challenge in Cameroon starting with creating communities of Divine Mercy. 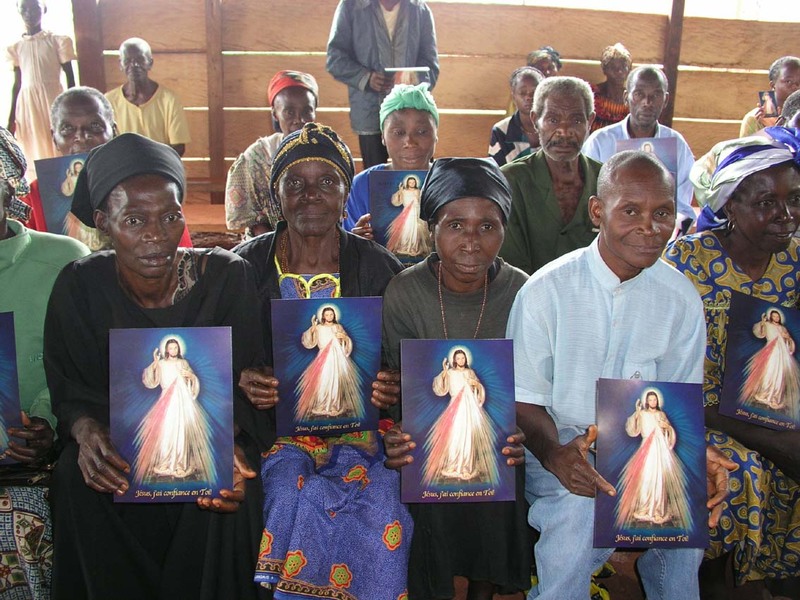 We have now 25 communities, which recite the Divine Mercy Chaplet and get involved in helping the poor. 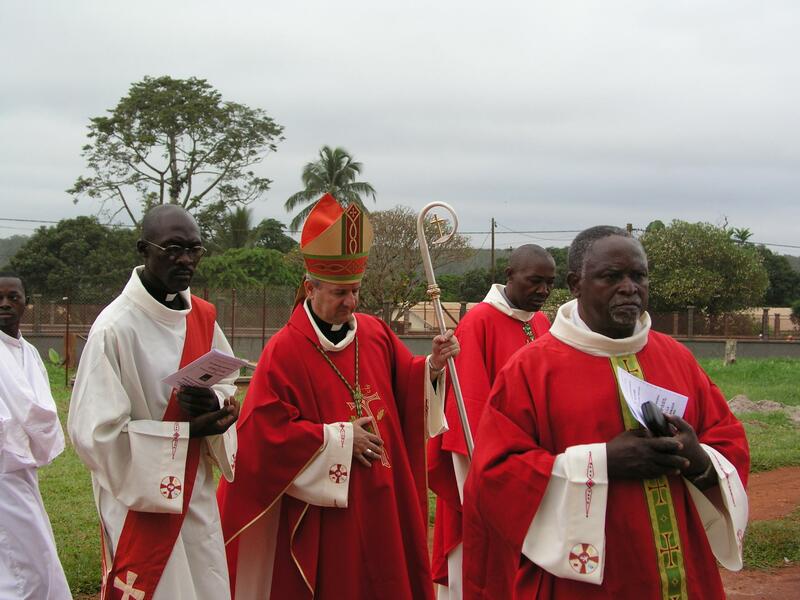 In Aril 2004 the Bishop established the Shrine of the Divine Mercy, the only such shrine in Cameroon, and entrusted the care over it to the Marians. We organized a large pilgrimage for the Feast of the Divine Mercy. In 2004 1000 peoples participated in a walking pilgrimage to the Shrine. Last Year (2005) le number was greater. This year the pilgrims also arrived, regardless of the rain. In the Shrine we hold retreats, days of retreats, and sessions for all groups and movements. We assist the poor, the sick (especially people with AIDS). We create for the young people the “foyer” – a formation center where they can learn and trade and receive a basic formation necessary for independent life. We organized a group of animators or leaders with whom we spread the Divine Mercy message and spirituality through the entire diocese. Following St. Faustina’s example to be an “Apostle of the Divine Mercy”, and in the spirit of the Lord’s commandment given to Faustina (Diary, 1588): “ In the Old Covenant I sent prophets wielding thunderbolts to my people. Today I am sending you with my Mercy to the people of the whole world”, we visited 20 parish in our diocese with Divine Mercy Animation – conferences, singing, celebration, as well as a theatrical performance. We also try to root the Divine Mercy message into the hearts and minds of the Africans through using their culture and customs; and we tray to improve their custom by offering them the victory of love and mercy over the vengeance and hatred. We translate prayers and songs into local dialects. Also, we use the African art to bring closer to people the Merciful Christ and The Divine Mercy. In particular, we help families. African family is in great need of The Divine Mercy. The majority of families live outside any kind of wedding bonds: neither traditional, nor legal, nor religious; they often maintain polygamy. Such bad heathen habits deprive (divest) women of all dignity and condemn children to poverty. Apart from the pastoral and spiritual activity, the calling for the Mercy includes social works: for example development of the formation center where we provide assistance for the poor and the sick. We assist the handicapped and suffering people by providing them with wheelchairs, tools for trade, and by teaching them to be independent.